You’ve done the legwork. The prospect is qualified, they are interested in your firm, and you’ve been invited to submit a proposal. Now what? In the architecture, engineering, construction (A/E/C) and environmental industries, proposal-writing is a way of life, both for new and existing clients. Some firms excel at developing proposals. Others just “get by.” On the client-side, however, few proposal reviewers wouldn’t admit that they’d like to see better quality proposals, laser-focused on the project under consideration, that are as brief as they are meaningful. How can you submit an effective proposal that checks the boxes while effectively articulating your firm’s value proposition? In this era of 140 and 280-character social media posts, do words even matter — don’t they just look at price, anyway? What if you don’t have the required credentials? What does a sound Go/No-Go decision process look like? 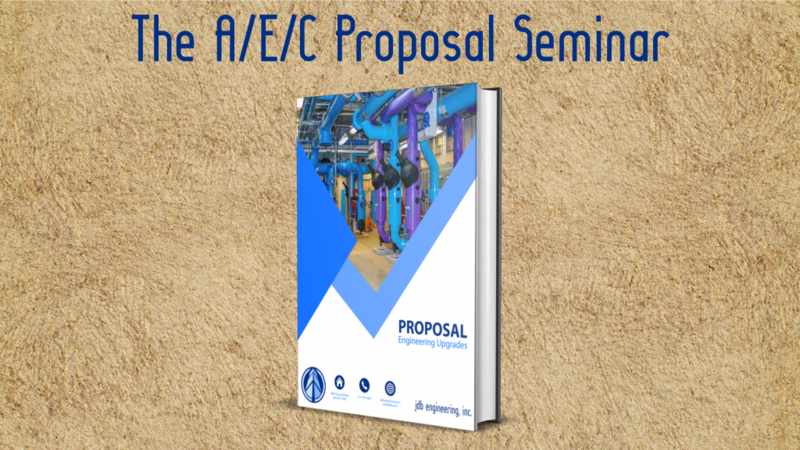 jdbIQity’s new A/E/C Proposal Seminar addresses these questions, and many more! Ready to reach for more, schedule a training at your office, or learn more about our program? Contact Scott D. Butcher, FSMPS, CPSM at 717-434-1543 or sbutcher@jdbe.com. Scott has trained thousands of professionals through presentations, conferences, in-house programs, and more. He’s one of the country’s thought leaders on A/E/C marketing, authoring several books, research reports, and ebooks along the way. Scott writes Marketropolis – the only sales and marketing blog on the Engineering News-Record website – as well as a regular jdbIQity blog. Oh, and he’s been involved with more than a thousand proposals, prime and sub, design-bid and design-build, simple letter to advanced Statement of Qualifications, for projects ranging from a few thousand dollars to more than $100 million.